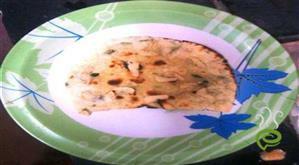 This delicious flatbread from India is famous worldwide. The super soft textured Tandoori Naan is uniquely and traditionally prepared in a tandoor by treating the maida flour with leavening agents. The high temperature of tandoor oven cooks bread in few minutes retaining the softness and moisture content. Tandoori Naan tastes great with thick creamy curries prepared from paneer, chicken etc. 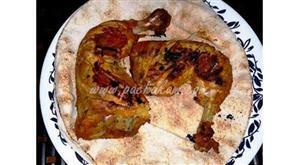 Tandoori Naan can be easily prepared at home with ease and you can entertain guests and friends. 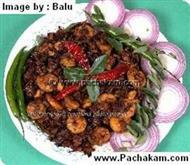 You can explore a step wise illustrated Tandoori Naan dish here. 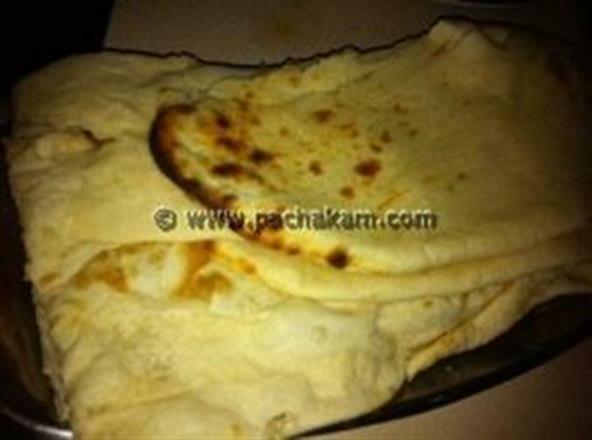 For preparing Tandoori Naan, sieve maida flour with baking powder and salt. Stir in sugar, egg, milk and water and knead well into a medium soft dough. Apply a little oil over it and cover it with a wet cloth for one hour. Make 10 equal sized balls. Scatter some onion seeds on top of each ball. Press sides first and then center of the dough ball. Roll the ball into a round shape. Stretch it from one side to give a triangular (elongated) shape. Put it on a cloth pad and place the naan on a preheated Tandoor. You can also cook in a preheated oven(250 ª C) by placing the naan on a greased tray. Remove, when it is crisp and golden brown on both sides, with the help of skewers. Tandoori Naan, a delicious flatbread is ready. 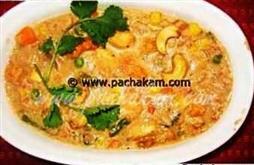 Enjoy the dish with thick creamy gravies. Whoever rated this recipe as good has either not eaten the real naan. Naan is yeasted bread & not to be made like a cake. thnx for the yummy and easy recipe. hey guys...kalonji is neither perumjeerakam(fennel) nor karun jeerakam(black jeera).it`s a different seed which u will get in any indian store.i think we malayaalees doesnt use that in our dishes.